If you prefer to wander from the beaten path where pilgrim tourists throng in their hundreds, and discover untouched paradises, then look no further. It is possible to lose the crowds, to escape to tranquillity for lower mountain ranges covered in forest, broken with rocky outcrops and views of meandering rivers and not a person in sight. The Hérault department offers plenty of such opportunities if you just ask where to go. To avoid the tourist trail to St Guilhem Le Désert, find a route that takes you to the foot of the Pic St Loup, and be awed as it towers above you. There is a stopping place on a bend on the road that crosses the pass, where you can clamber to a monument with cross commemorating a daring rock climber who didn’t make it up the face of the mountain. There, to the deafening sound of crickets in summer, you will have a fantastic view back down the valley. From there to St-Martin-de-Londres the windy steep road gives you views of the river Hérault where it meanders peacefully before it begins to descend through narrow gorges to the Devil’s Bridge. 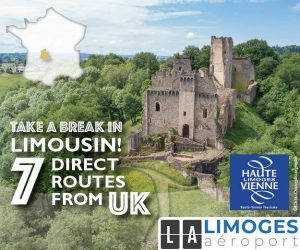 Stop at St-Martin-de-Londres to discover the 11th century priory surrounded by houses in a timewarp of a mediaeval cloister. (The name stems from the word “lun” which meant marsh. Like London, the valley of Londres used to be covered in water for centuries, but it is not known at what point it disappeared or how.) 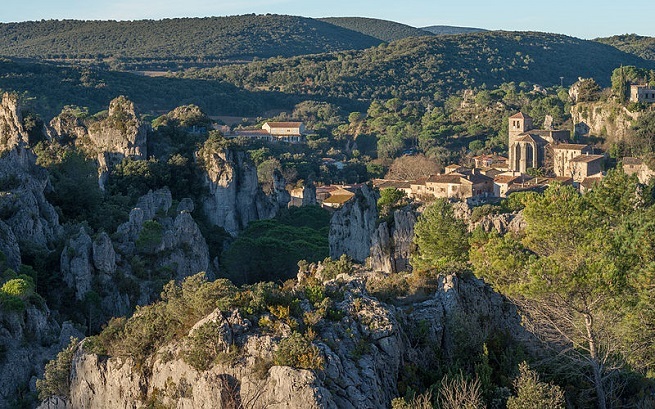 Instead of going south to St Guilhem, follow the trail to the Vallée des Buèges, where three tiny villages perched on hilltops guard the valley just as they did hundreds of years ago. They were established by Carolingian monks who brought Christianity to the valley and tended the slopes, creating terraces for growing vines and olive trees. Unspoilt by tourism, the village of St Jean-de-Buèges is tightly squeezed onto the slopes of a rocky outcrop, the main street being only navigable by single file traffic at points. Crossing through the village is a small gully carrying a stream in wetter seasons, under roads and past the square’s cafés. You will find a cave cooperative and a shop selling regional products and crafts. Visit Viols-le-Fort for more artisan workshops and a visit to some prehistoric dolmens dating back 4500 years. If you wish to find a little more activity, then the area has plenty to offer. Canoeing on the river Hérault at various points, hang-gliding at Mas-de-Londres, rock climbing at St-Jean-de-Londres, and horse-riding all offer an encounter with nature. If you have younger visitors with you, head for St-Jean-de-Cuculles where at “Oc Aventures” they can climb around in the treetops on a set of obstacle courses and rope ladders. Before you leave, don’t forget to taste some of the local wine – well-known names are the Côteaux de Languedoc, the Terrasses du Larzac and the Pic St Loup. St Guilhem is the perfect place to visit if you are heading home in that direction – perfect if you leave it until after 4.00 pm. You will find a space in the car park and be able to negotiate the narrow streets without bumping into quite so many tourists!